BMC Racing Team's Rohan Dennis has taken his second victory at the 2018 Vuelta a España. The Australian beat Joey Rosskopf and Jonathan Castroviejo while the General Classification underwent some changes. The 16th stage of the Spanish grand tour was 32 kilometres long between Santillana del Mar and Torrelavega and suited the specialists. The rider to set the first competitive time for the day was Quick-Step Floors' Kasper Asgreen, who stopped the clock at 39 minutes and seven seconds. Specialists like European TT champion Victor Campenaerts and Spanish TT titleholder Jonathan Castroviejo set good times at 39 minutes and 15 seconds and 38 minutes and 47 seconds respectively, but not good enough to take the stage victory. 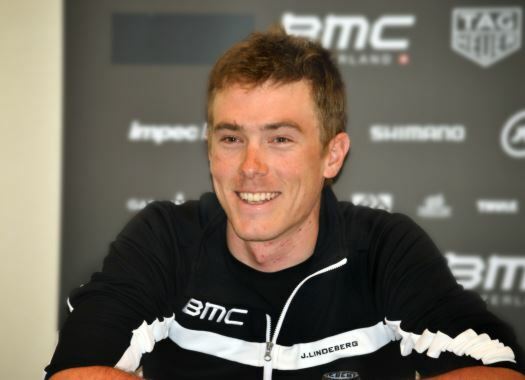 The big favourite of the day, BMC's Rohan Dennis didn't disappoint and stopped the clock at 37 minutes and 57 seconds. The time then came for the GC contenders. The first to go down the ramp was Steven Kruijswijk (LottoNL-Jumbo) who soon showed a good performance on the TT. Alejandro Valverde seemed to be the best of the top four, while his teammate Nairo Quintana and Miguel Angel Lopez (Astana) seemed to be the weakest of the favourites. With the arrival of Kruijswijk, the victory of Dennis became certain. The Dutchman stopped the clock at 38 minutes and 48 seconds, climbing to the third position of the General Classification. The next one to finish was Quintana, who set a time of 40 minutes and seven seconds. Lopez finished at 40 minutes and 16 seconds, Valverde at 39 minutes and 33 seconds and Yates at 39 minutes and 25 seconds. Yates maintained the Red Jersey and Valverde the second place, while Kruijswijk climbed to the third position. Quintana fell to the fourth and Mas climbed to fifth. Lopez was left out of the top five.